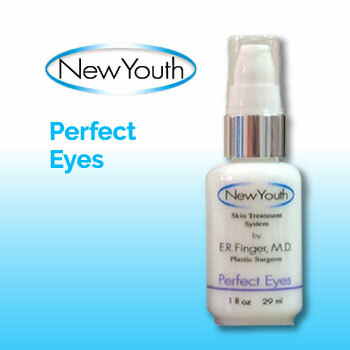 Perfect Eyes, A New Youth Cosmeceuticals Product Is The Perfect Anti-Aging Eye Serum! 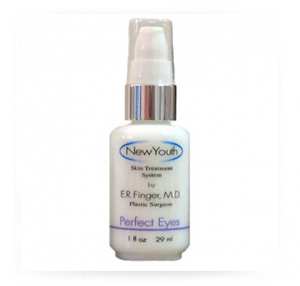 When the ingredients for the New Youth Perfect Eyes were chosen, the cosmetic chemists said that it wouldn’t be effective because they were unfamiliar with ingredients to reverse Glycation, repair DNA, stimulate mitochondria and regenerate cells that produce your skin. This is all history now because we now know that the Perfect Eyes serum works for wrinkles around the eyes as well as around the mouth and even on scars. It also works great for dark circles and puffiness under the eyes. a true Anti-Aging Eye Serum that turns out to be more powerful than what we expected. 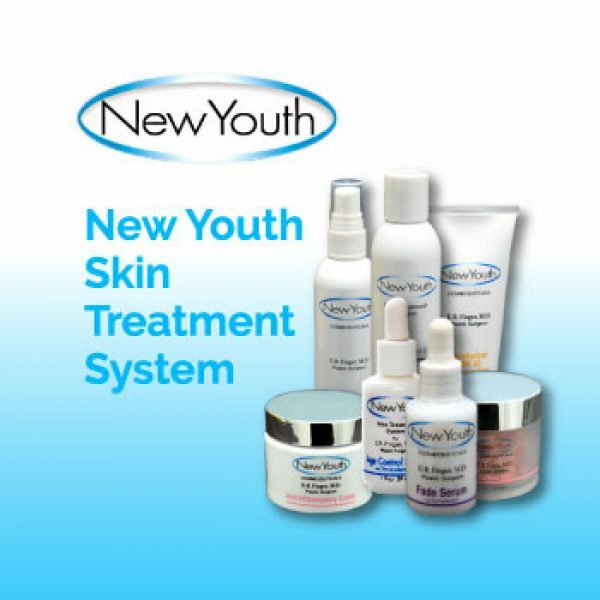 Why use New Youth Perfect Eyes Serum versus any other Anti- Aging Eye Serum or Wrinkle Cream? Follow the highlighted links to learn more about the product and meaning of specific terms related to our Perfect Eyes Serum. Carnosine – important anti-glycation ingredient. Reduces the metabolic “glue” that attaches to elastic and collagen fibers allowing them to tighten again. The result is tighter skin with fewer wrinkles. DMAE – a powerful antioxidant and protects the cell membranes. Smoother, brighter skin with less fine wrinkles and lines. Allowing the cells to produce better, more youthful skin. Squalane – olive oil extract. Anti-inflammatory, antibacterial, excellent moisturizer., reducing wrinkles by hydrating skin. Protects against sun damage. An anti-aging ingredient that penetrates deeply into the skin. Lipoic acid – very powerful, natural anti-oxidant, both fat and water soluble. Anti-oxidant both inside and outside of the cells. Neutralizes harmful free radicals many times more than Vitamin C.
Algae Extract – abundant in natural vitamins, minerals, enzymes, and amino acids. Beneficial sun protection. Increases cell regeneration and reduce the destruction of elastin, the proteins that help give our skin elasticity. Reduces fine wrinkles and sagging. Green Tea extract – anti-oxidant, anti-inflammatory. The nutrients polyphenols slow signs of aging. Reduces sun damage. Known as the Geisha girl’s secret. Cat’s claw – increases local immunity and repairs DNA damage. DNA-our body’s blueprint. CoQ 10 – stimulates collagen production. Reduces effects of aging. Energizes cells and rejuvenates skin by stimulating cell activity. Result: more youthful appearing skin. Use Perfect Eyes – Anti-Aging Eye Serum and reduce fine lines, dark circles, and puffiness in as little as 4 weeks.